LCD TVs are now an intrinsic part of our lives. So, imagining a day without your favorite LCD TV is absolutely impossible. Now, when your, LCD TV has frequent glitches in the picture and sound quality you can always choose our LG LCD service centre which will make sure that your TV is fixed in a jiffy. No matter whatever model your LG TV is from, our adept service centre agents will make sure that it is fixed in a jiffy. They will further ensure that your TV does not have any further glitches in the long run. Our experts check each and every part of the TV and make sure that they are absolutely fine and in working condition. In fact, they also get every dysfunctional part replaced in a jiffy. So, if you want proper and comprehensive solutions for your LG TV repair, simply count on Dial and Search for the best solutions. When does your LG LCD TV want a service? When your LG LCD TV has frequent issues with the screen, or when it switches of automatically, you should immediately call us for quick and hassle free services. Our experts are absolutely adept in LCD repairing and so they know when your TV needs a repair. Whether be it screen issues, sound issues or glitches in the picture quality; our competent experts will make sure that your TV is repaired without any hassle at all. Never take your TV related glitch for granted and also never ignore it. Simply contact our team for any issues you experience. Here, they will make sure that these problems are sorted simply without any hassle. Looking for some LCD TV repair tips? Well, in that case, these guidelines will surely and effectively help you in sorting the minor glitches of your TV. If your TV has certain retrace lines at the top of your TV screen, you can get it fixed in a jiffy by replacing the tantalum cups. If your TV shows any message mentioning “temperature error detected” you will have to get the circuits of your TV fixed. With better and proper TV circuits you can always enjoy the most amazing performance from your LCD screen. If you find that your TV does not detect any picture at all and has a black screen, you can always get it fixed by replacing the backlight inverter of your device. However, besides these problems if you experience any other major glitch simply contact us for the best LG LCD TV service centre Bangalore. LG LCD Panel Repair – Why choose us? If your LCD TV panel turns out to be dysfunctional or if it has constant glitches, then fixing it immediately is indeed a viable idea. Our experts will come with their best equipments in offering you the most comprehensive and viable LCD panel repairs. In fact, your panel will have no additional glitches once we get it repaired. Our LG LCD TV repair experts will offer you the most commendable TV repair solutions in town. 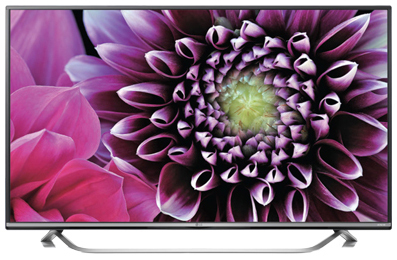 LG LCD TV Service Centre Bangalore- Why choose us? Your LG LCD TV can enjoy better life and tad more better performance when you maintain it from time to time. Now, at D & S we offer comprehensive repair solutions for your LCD flat screen TVs. So, be it sound issues, LCD screen repair, glitches in picture quality or any other relevant issue; our experts will sort it out and offer you a better and even more viable TV on the go. So, simply choose us if you want to enjoy quality TV repair services at the best rates in town.